Can't remember if I've told y'all about the very cool Math training I went through last year. Very intense. I learned a lot. I spent at least 3 hours a month all year learning about 2nd grade math. Best part: the class was split into 2 equal shares - mathematical thinking and fostering math talk. For real, it has changed me, as both a teacher and a mathematician. Example: I now always calculate tip in my head. (Really and truly, I was one of those folks who used the tip calculator on my phone... Not proud of it, just sayin.') Another example, I never ever tell kiddos they "can't" take a larger number away from a smaller number. Everyone know why? Because a few years later, they'll be expected to learn about negative numbers!! We'll be discouraging their mathematical thinking before it even begins. Now I say, "If you subtract a larger number from a smaller number, you'll have to work with a negative number, and you won't be learning about those for a few more years, so let's see if we need to ungroup instead." Truly, It's the little things that make a huge difference. Like with Math Talk. Here's a link to a little freebie I used with my awesome teammate Casey last year when we were both fostering math talk with cue cards for the kiddos to refer to. 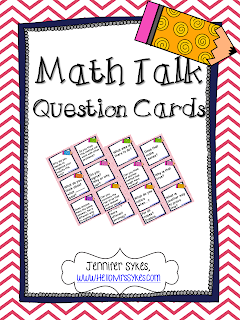 Also, I created a huge bundle of Higher Level Thinking Questions for Math Talk. Click the pic below to take a closer look and then try the preview to download 6 free cards to try in your classroom. To me, the concept of encouraging discourse in math is very similar to methods I have always used to promote higher-level discourse in ELA. How do you foster Math Talk in your classroom? 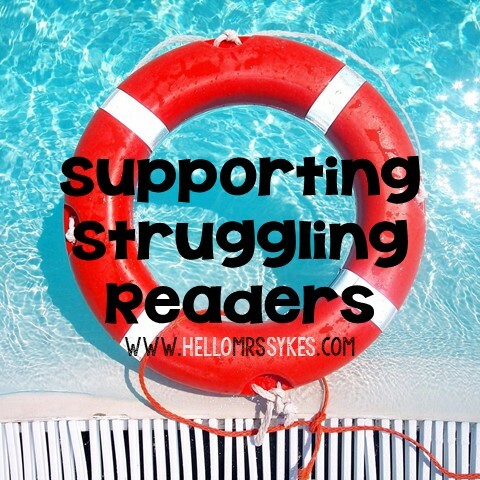 Follow Jen Sykes (Hello Mrs Sykes)'s board Hello Mrs Sykes - ELA Resources on Pinterest. © Jen Sykes ~ Hello Mrs Sykes, 2012-2016. Unauthorized use and/or duplication of this material without express and written permission from this blog’s author and/or owner is strictly prohibited. 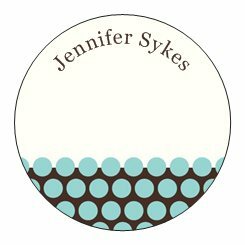 Excerpts and links may be used, provided that full and clear credit is given to Jen Sykes with specific links to original content. Disclosure: This blog is written and edited by Jen Sykes. For questions about this blog, please email hellomrssykes at gmail dot com. This blog accepts product samples for review. All opinions, errors, and beliefs are mine. Views and opinions expressed on this blog are purely the bloggers’ own. Affiliate links are used to help support this website. Thanks for being amazing today. Work on Words Wednesday - Interesting Words! Work on Words Wednesday - Cheap Manipulatives! Wise Decor Review and Giveaway! *Jennifer Sykes, Hello Mrs Sykes is a participant in the Amazon Services LLC Associates Program, an affiliate advertising program designed to provide a means for sites to earn advertising fees by advertising and linking to Amazon properties including, but not limited to, amazon.com, endless.com, myhabit.com, smallparts.com, or amazonwireless.com. © 2015 Hello Mrs Sykes. Natasha Template designed by Georgia Lou Studios All rights reserved.